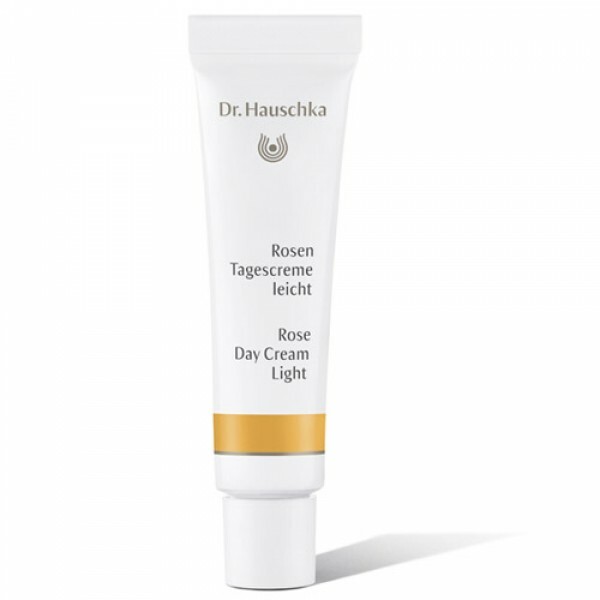 Try out the beautiful lighter alternative to the original Dr Hauschka Rose Day Cream. This mini tube of Dr Hauschka Rose Day Cream Light is perfect for a weekend away too. It is a beautifully scented, nurturing cream which protects and moisturises the skin, leaving it soft, smooth and hydrated. A sister product to Rose Day Cream, this facial moisturiser has a lighter, less intensive formulation than its counterpart, but offers the same nurturing properties, it's an ideal option for the summer months or if you just prefer a lighter cream.